....and get a free dance bag! ​A: Your first months payment would be due at Registration. Q: What should my child wear to dance class? A: Girls - Pink ballet tights, leotard (below), pink ballet slippers. Beg. through Adv. 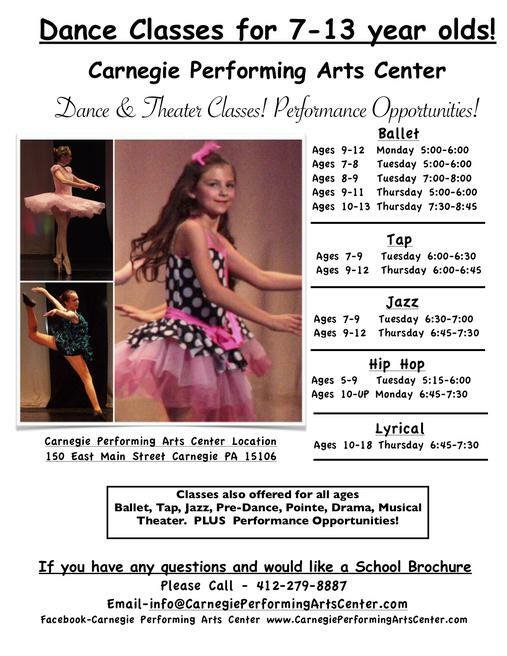 Jazz and Tap : Black Leotard, Pink or Tan Tights. Boys - Black dance pants, Black ballet/jazz shoes, and plain white tee-shirt. Q: What type of dance shoes should I buy ? 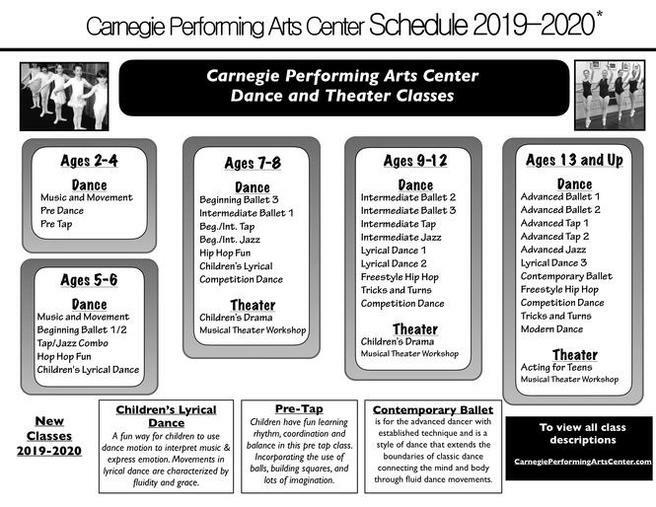 A: The Carnegie Performing Arts Center sells high quality Revolution dance shoes including : Split-Soled Ballet, Split-Soled Jazz , and Student Tap Shoes. These shoes are priced at or below what you would pay in most stores, and only available to CPAC dance students. Dance Shoes usually arrive within a week of ordering. We also can order both tights and leotards for you. 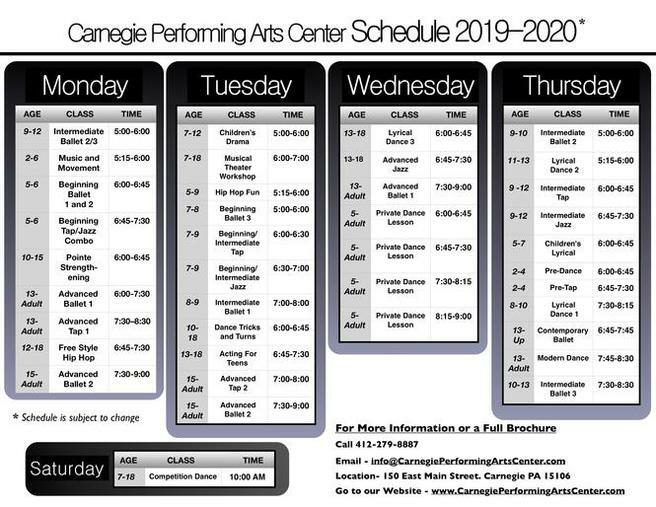 If you have any additional questions about Monthly Tuition, Costumes, Dance Dress Code, Performance Opportunities. 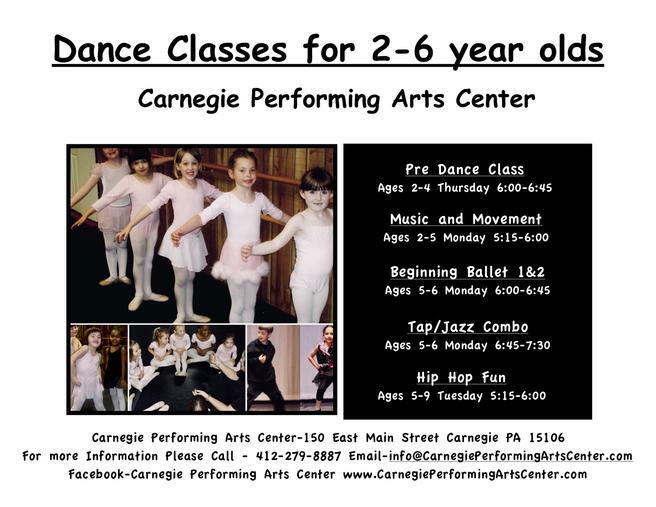 Competition Team Forte, Private Dance Classes, Music and Movement, Hip Hop, Boys Ballet Scholarship or Piano Lessons we can talk about them at your registration or you are welcome to call or email.